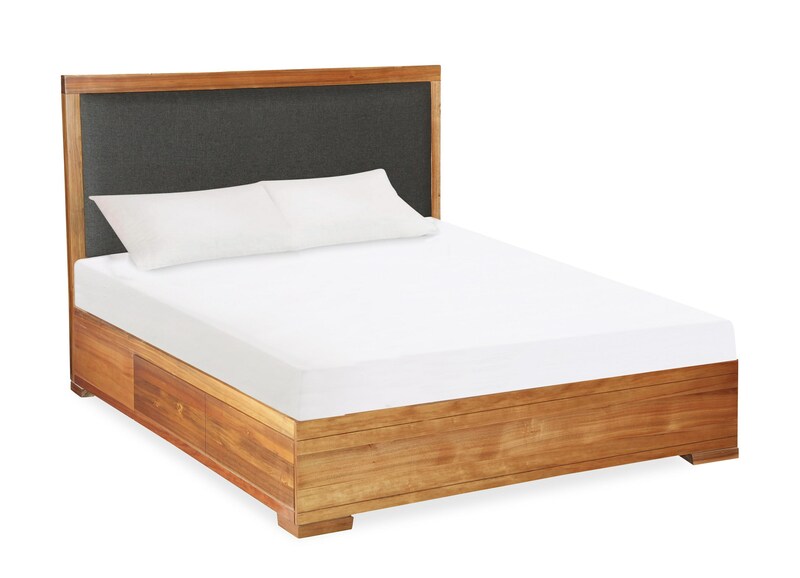 With its upholstered headboard and warm wood tones, this bed looks welcoming, yet refined. Clean lines and a low profile base speak to modern style, while the upholstered headboard gives the piece transitional appeal. Built in storage completes the bed, making it an ideal bed for smaller bedrooms. The Clifton Queen Bed by Global Home at HomeWorld Furniture in the Hawaii, Oahu, Hilo, Kona, Maui area. Product availability may vary. Contact us for the most current availability on this product.